If you are worried about rear wheel drive cars losing grip in bad weather, icy conditions or the snow of the last few weeks then 4WD is the answer. BMW offer their new 5 Series with 4 wheel drive or ‘X-Drive‘ as they call it. A clever system to ensure maximum grip, keeping the car safe with superb traction and all without losing the fundamental driving characteristics the ultimate driving machine has become synonymous with. 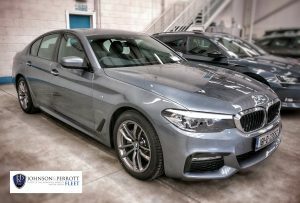 The car still delivers the power with a rear wheel bias giving the satisfying push that makes a BMW so rewarding to drive and maintains a 50/50 weight distribution to keep the car feeling balanced. This balance ensures the car never feels too nose heavy or tail light, never a good combination.